Every March, Volunteers of America is apart of Runnin' of the Green, an Irish Jog that has become a tradition in Denver, celebrating its 30th Annual race this year! The St. Patrick's Day themed run is a family friendly event in which Volunteers of America has been the long-time benefactor. 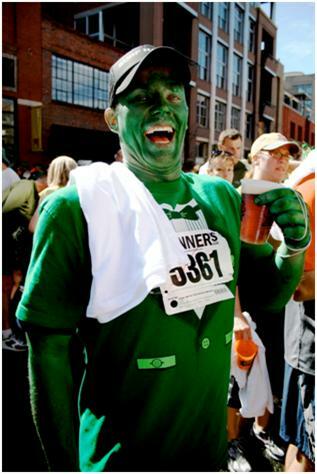 The run is famous for its post-race block party, including entertainment by Irish bands, food, dancers, and, of course, drinks.Noted as the largest 7K, the race goes through downtown Denver and participants are encouraged to dress in costumes and green attire. Race Starts at 10:15 a.m.
All of the details on the 2018 race can be found at www.rotg.org. Thank you to KBCO, 9news and 5280 Magazine for your support for this event. Get Involved with Runnin' of the Green!